Align your projects with the Lunar Cycle for repeatable & tangible results! 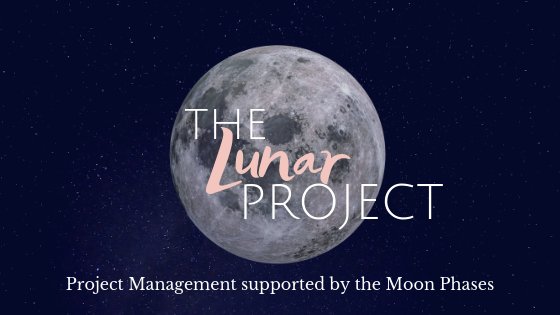 This 4 week course helps you with project management skills in sync with the 8 phases of the Moon. Cyclical Living is a new way of living and working, managing and honoring your vital energy in alignment with the natural cycles. Instead of pushing and striving in a linear way to force success and results, Cyclical Living enables you to go with the flow, create success and abundance with ease and grace. Cyclical living creates space, it enhances your energy levels, health, success, abundance, and relationships. You will be able to create the life you want, be more productive, and experience less stress, fatigue and exhaustion. The Cyclical Living course is a structured group coaching program for ambitious, professional women, running for 6 weeks, with weekly content, webinars and access to a closed FB group to connect to the other participants. WinterLight is a FREE 9-day program that helps you to transform restrictive resolutions into restorative and relaxing practices to create real results. This program runs every year just before the first New Moon in January.